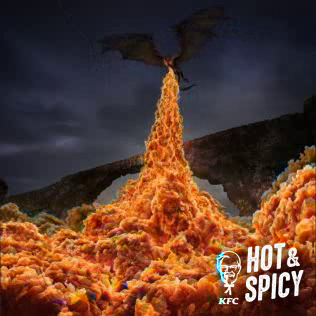 Ogilvy Hong Kong has extended their multi-award winning ‘Hot & Spicy’ campaign for KFC. The new campaign is released to celebrate the premiere of the final season of Game of Thrones. 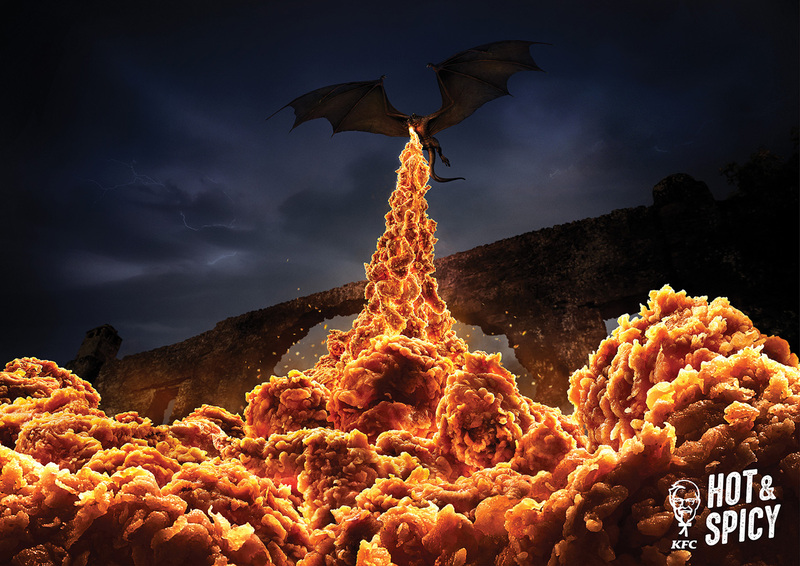 The social-led campaign features static and animated visuals of a flame breathing dragon – with the fireballs produced by the beast seamlessly swapped out with KFC’s classic Hot & Spicy chicken. As well as launching online, the campaign will also include 3 additional executions that will feature in print advertising and key outdoor media, which will roll-out in the coming weeks. The campaign was again created via the top Bangkok-based digital imaging studio, Illusion. “KFC has always been part of the cultural conversation, so the upcoming premiere was the perfect opportunity to remind customers that the best way to enjoy the show is by grabbing a bucket of Hot & Spicy to share,” said Shirley Chau, Marketing Director – KFC Hong Kong. Only in the 2019 version of advertising could a facebook post be called a campaign. Look at those credits. To produce a GIF. No wonder agencies are dying. It states in the story “3 additional executions that will feature in print advertising and key outdoor media, which will roll-out in the coming weeks”. I’ll think you’ll find that these are the credits for that work too.